In my last post, I talked about people being consumed by their phones and their inability to pay attention to the world they live in. This inability to pay attention to their surroundings can be potentially dangerous to themselves and others. When people are walking and looking at their phones, they aren’t paying attention to their surroundings; they aren’t psychologically present. 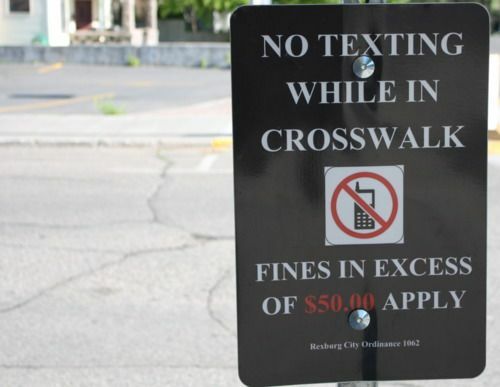 Because walking and texting, or walking and googling can be dangerous to pedestrians and those around them, cities in the United States and Europe have finally begun to do something about it. 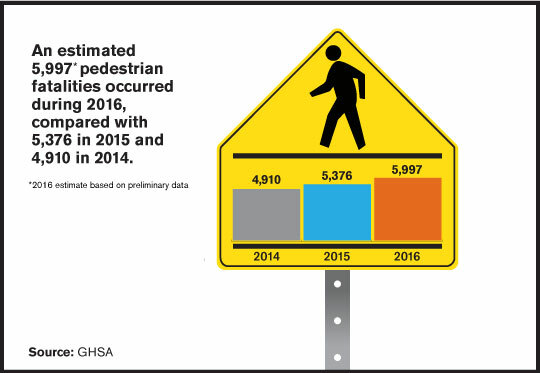 In the United States, pedestrian deaths in 2016 spiked 9% from the year before, rising to 5,997 (the highest toll on American roads since 1990). Officials believe that the most possible reason may be the sharp rise in smartphone usage, which is a frequent source of mental and visual distraction, for both drivers and walkers. Research shows that people who talk and text while walking are nearly 4 times more likely to engage in at least one dangerous action and take 18% more time to cross the street than focused pedestrians. From unique signs in Hayward, CA and no-selfie zones in Mumbai, India, to specifically designed LED traffic lights in Europe, these cities are coming up with new ways to help protect these distracted souls. 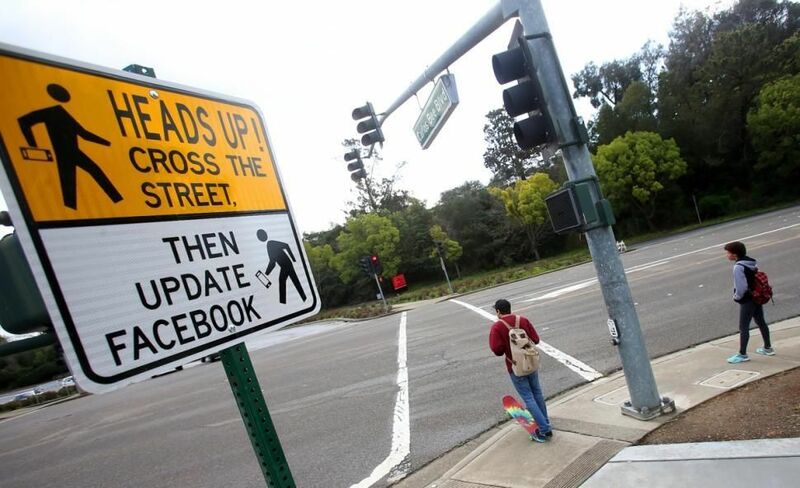 Officials in Hayward have put up signs across the city in hopes that pedestrians will stop crossing the street while being on their smartphones. Mumbai has declared 16 no-selfie zones across the city after a series of accidental deaths linked to what India’s popular press has dubbed “selfie fever”. Honolulu enacted a law taking effect on October 25th 2017 that allows police to fine pedestrians for viewing their electronic devices while crossing the streets in the city and surrounding county. San Mateo County passed a resolution prohibiting pedestrians’ use of cellphones while crossing streets and the resolution is expected to go to the California Legislature for statewide consideration in January 2018. At least 10 states have debated similar legislation dealing with distracted pedestrians or bicyclists. And legislation is pending in 2 states. Rexburg was the first to adopt a citywide ban in 2011. The city recorded 5 pedestrian deaths in a short period in a concentrated area. Rexburg barred pedestrians from using hand-held devices while crossing public streets and there hasn’t been a pedestrian fatality since. Bodegraven is also taking measures to reduce pedestrian deaths and injuries. 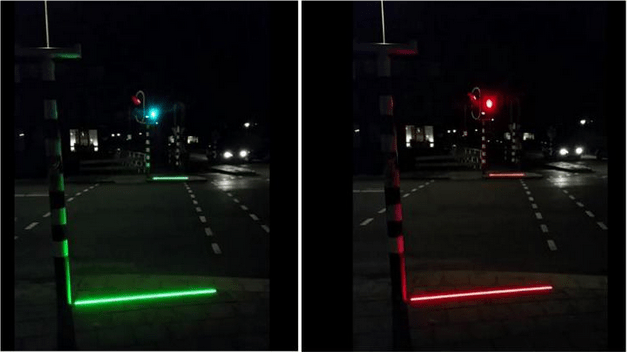 This year it put in place LED illuminated strips in the crosswalk at busy intersections – right in the line of sight of people staring at their phones. When the traffic lights turn red or green, so do the lights at ground level, alerting pedestrians when it’s safe to cross. Critics argue that this program aims to anticipate trends and not reverse them. Still hopeful to reduce the amount of pedestrian deaths and injuries, if successful, the town will install the lights at more intersections and on bike paths and offer them to other cities. 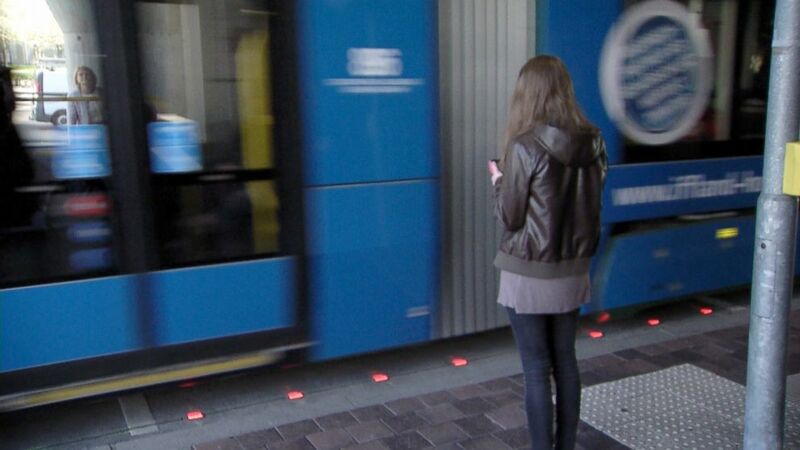 Similar lights were installed last year in Augburg after a teenager using her smartphone was struck and seriously injured by a tram when she walked onto the tracks. 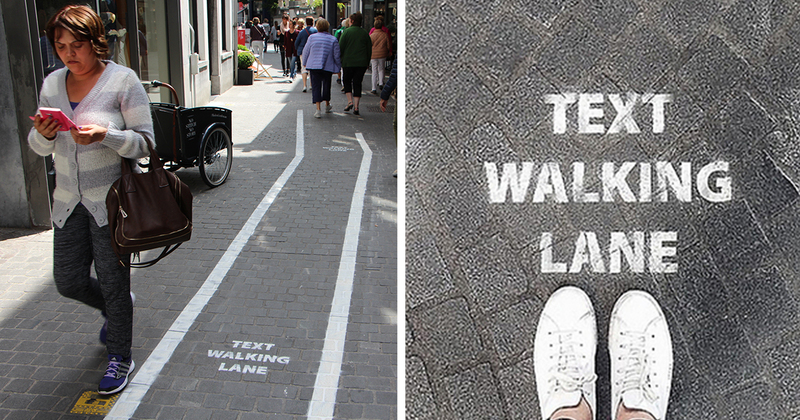 The Belgian city of Antwerp provided temporary “text walking lames” so that they do not collide with pedestrians. 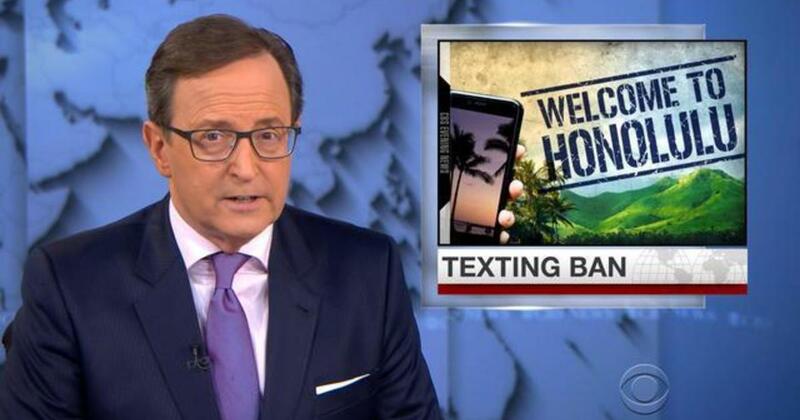 Have smartphones changed behavior so drastically that there is no turning back? Or should we just accept our newfound soul-sucking distractions? What are your thoughts? Posted in millennial, millennials, opinion, social critique and tagged amsterdam, antwerp, augburg, ban, belgium, bodegraven, california, dangerous, death, distractions, germany, hawaii, hayward, honolulu, humanity, idaho, injury, law, LED traffic lights, mumbai, no-selfie zone, opinion, pedestrian, rexburg, san mateo county, technology, texting, texting ban. Bookmark the permalink.